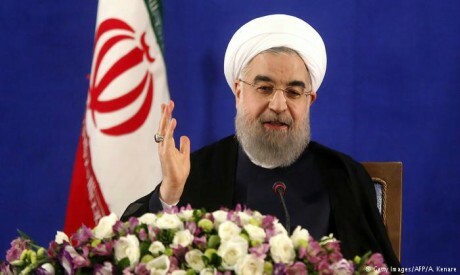 President Hassan Rouhani said late Saturday that the divisions between the US and Europe over renewed sanctions on Iran were a "rare historical victory" for the Islamic republic. EU countries have fiercely opposed the decision by US President Donald Trump to abandon their landmark 2015 nuclear deal with Iran and reimpose sanctions -- the last of which will return on November 5. He acknowledged Iranians were feeling the economic strain, saying: "All of us understand people are suffering and under pressure. People's lives, in particular those on a fixed income, are very difficult." He criticized foreign media reports that costs were soaring, despite Iran's own central bank showing food and drink prices had risen 46.5 percent in the year to September. Lawmakers were set to vote later on Saturday on whether to approve the four names put forward by Rouhani: Farhad Dejpasand as economy minister, Mohammad Eslami for transport, Reza Rahmani for industry and Mohammad Shariatmadari for labor. The previous economy and labor ministers were impeached by parliament in August, while the other two resigned last week.